Neither Australia nor New Zealand wants to have to choose between the United States and China in the possible option that Hugh White has envisaged so starkly. But if push comes to shove, it can’t be taken for granted that the two countries will come to precisely the same conclusion at precisely the same time. Hugh recently spoke in Wellington outlining the arguments of his book The China Choice. The room was packed, a tribute to both his ability to stimulate and of course the subject, which is the preoccupation of this era. Moreover, Hugh is an Australian strategic scholar whose thinking has been known to embrace New Zealand—not a concern shared widely in Australia’s strategic community. An example of where countries may have expectations of New Zealand may arise in the context of United States/China relations. If tensions between these two were to escalate significantly, New Zealand’s alignment of values and tradition with the United States, Australia and Europe might suggest an automatic pro-United States inclination. The extended post-ANZUS estrangement with the United States may have had longer-term repercussions for New Zealand’s external policy. Other countries, in particular China, may have read into those events an inference that New Zealand could be expected to pursue a more independent foreign policy. China may expect a country so economically dependent on it and which has avowedly pursued an independent foreign policy to resist any United States activities that it perceives as being contrary to China’s interests. It will not hesitate to exert pressure in New Zealand in situations where it considers Chinese expectations have been unsatisfied or Chinese interests are threatened. As noted above, the relationship with China will not always be easy. Despite the warming of relations with the United States, which may suggest New Zealand will incline more naturally to that country, the post-ANZUS history may also continue to influence other countries’ expectations of New Zealand. That history also suggests that there may be occasions when New Zealand’s interests will not be fully aligned with Australia’s, although the differences are likely to vary only by degree. If New Zealand were to be faced tomorrow with a stark choice between throwing its lot in with the United States or with China, there is little doubt that it would choose the United States. History, language, culture, values, all point in that direction, as does New Zealand’s close association with Australia, a staunch United States ally. The United States remains the main security guarantor of the Asia-Pacific region, the US dollar the global medium of exchange. New Zealand’s decision would be made easier by the charm offensive accompanying the United States’ current ‘pivot’ towards the Asia-Pacific. New Zealand politicians, and New Zealanders generally, feel flattered to be invited to re-enter the American fold, albeit as a ‘strategic partner’, rather than, as formerly, a formal ally. Longer term, however, the situation becomes less clear. The United States has many preoccupations and its re-balancing may alter. For China, on the other hand, such a re-balancing is not an option: it is an integral part of the region. 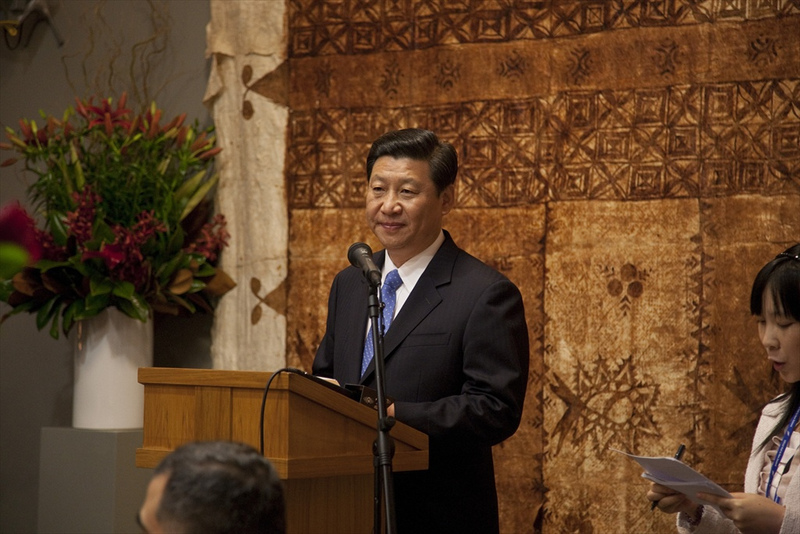 China will be of central economic importance to New Zealand, and to the world. 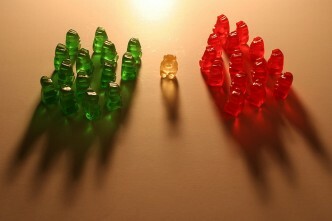 Its military capabilities will have grown. A combination of economic logic and traditional patterns of association will have caused many of its Southeast Asian neighbours to give China greater weight. New Zealand itself will have acquired a greater Asian dimension, through immigration, investment and trade, and other forms of interchange. At that point, the political downside of giving priority to the political and economic relationship with China would be greatly reduced, and the practical imperatives in favour could be telling. In spite of the United States’ concern to shore up its influence in the region, it is likely to be New Zealand’s relationship with Australia, rather than the United States, that requires to be handled most carefully in the context of enhanced links with China. Australia’s preference will be for New Zealand to develop its policies towards China in close harmony with Australia’s own. Given the existence of some differences in the two countries’ interests, and in particular Australia’s closer military and security ties to the United States, this has the potential to complicate New Zealand’s preferred lines of policy development. This situation is one that will require to be handled with considerable finesse, especially since the comprehensive nature of the New Zealand/Australia bilateral relationship gives ample scope for Australia to bring pressure to bear should it form the view that New Zealand’s strategic direction could pose a threat to Australian interests. Of course there isn’t a consensus in New Zealand any more than there is in Australia about a definitive response to rivalry between the United States and China. 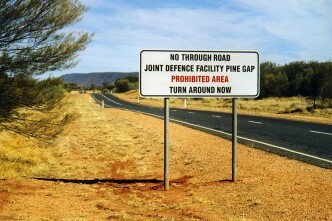 The caution about Australia’s response to directions New Zealand might take is based on experiences after the anti-nuclear policy adopted by the then New Zealand Government and, more recently, by Australia’s reaction after New Zealand proposed signing the Treaty of Amity and Co-operation in Southeast Asia in 2005—which Wellington delayed signing because of pressure from Australia. Stuart McMillan is an adjunct senior fellow in the School of Social and Political Sciences at the University of Canterbury. Image courtesy of Flickr user nznationalparty.